Definition at line 271 of file shellclasses.h. Definition at line 273 of file shellclasses.h. Definition at line 304 of file shellclasses.h. Definition at line 309 of file shellclasses.h. Definition at line 325 of file shellclasses.h. Definition at line 314 of file shellclasses.h. Definition at line 293 of file shellclasses.h. Definition at line 298 of file shellclasses.h. Definition at line 288 of file shellclasses.h. Definition at line 278 of file shellclasses.h. Definition at line 283 of file shellclasses.h. Definition at line 326 of file shellclasses.h. Definition at line 321 of file shellclasses.h. Referenced by SShellPtr< ITEMIDLIST >::Free(), and SShellPtr< ITEMIDLIST >::~SShellPtr(). Definition at line 320 of file shellclasses.h. 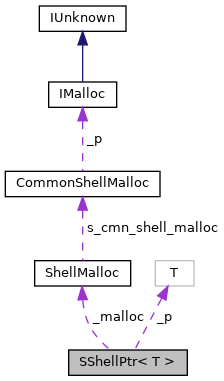 Referenced by SShellPtr< ITEMIDLIST >::Free(), SShellPtr< ITEMIDLIST >::operator *(), SShellPtr< T >::operator T const *(), SShellPtr< ITEMIDLIST >::operator->(), ShellPath::operator=(), ShellPath::ShellPath(), and SShellPtr< ITEMIDLIST >::~SShellPtr().